On the west side of the ever green Paggaios nestles a small farming village, the Mikro Souli, with a long tradition in animal farming and poultry which are the main activities of its inhabitants. There, among the trees, the grazing land and the hectares cultivated by the local people, you will encounter the traditional ever green farm of the Teneketzi family. At this farm in 1959 Dimitrios Teneketzis organized the first poultry farm with 5000 chickens to cover the needs of the village, and the wider area of Serres prefecture of Serres for fresh rural eggs. In 30 years daily production reached 40.000 eggs, ensuring they reached every family of the surrounding prefectures and cities, daily. Two sons, Paschalis and Panagiotis embraced their father’s efforts and contributed soul, love and devotion to making the quality and taste of Teneketzis eggs unique. In the following years the company continued its upward trend, conquering the market and the hearts of consumers with their valued and nutritious products. The semi-mountainous green environment where the chickens live and breed, monitored and certified feed, strict conditions of production, combined with many years of experience, the latest technology and a flexible distribution system, have established the company and its eggs produces as making it a producer of certainty and trust. Using, innovative methods to develop, and aiming to satisfy the wishes of its loyal clientele, “Teneketzi Eggs» entered the market for organic products, in 2006. It was the first time that organic eggs had been distributed in Northern Greece. Teneketzi eggs originate from chickens bred in the farm and fed only on certified cereals of high quality organic origin. In 2008 Teneketzi brought to the market free range eggs from free chickens enjoying the whole farm. In 2010 they offered eggs from chickens enriched with natural corn of Greek origin, certified by Agrocert. 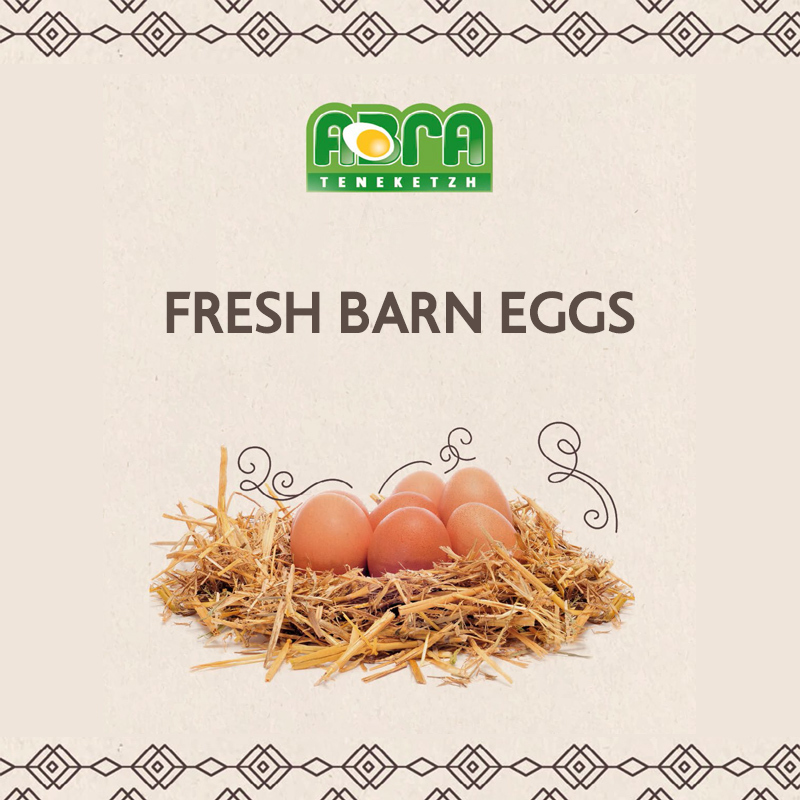 This was followed by Axirona Barn eggs and Barn Ω3 eggs, rich in polyunsaturated fatty acids Ω3, which are produced in a traditional way from chickens which are free in special areas of the farm, feeding on linseed and laying their eggs in traditional nests made out of straw. Appetizing Eggs from the Farm! The Teneketzi family are inextricably linked to nature, its area and its traditional farm has conserved, for 60 years, an original and authentic way by its love for the art of poultry production. All Teneketzi eggs are packed, one by one, without using automated machinery and arrive to you in organic, innovative packaging pet (recycled plastic bottles) that respects the environment and keeps unchanged their reputation and their quality. Quality is unquestionably guaranteed by the Teneketzi family because of the ideal environment that they have created to rear and breed the chickens, with full respect for traditions and with natural feed which is also grown on the farm or originate from verified suppliers. Certification of this quality consists in the everyday choice and trust shown by our thousand customers in Teneketzi eggs. Teneketzi deliver their everyday, fresh, healthy and nutritious eggs to supermarket chains, traditional grocers, large gatherings, hospitals, camp sites and nurseries, and to young and old, from Evros to Larissa and all over northern Greece. The Teneketzi family has one vision: that every modern family and specifically children be well-fed and healthy, relishing one of the most valued and purest gifts of nature with all their nutritional substance and benefits. We work diligently every day to satisfy our vision to offer excellent service, taking care of everything from production to packaging and the distribution of the products. The only thing you need to do every day is to satisfy your taste requirements in whichever way you wish: soft boiled or hard boiled, a beautiful smelling omelet or your favourite recipe. Let yourself enjoy their unique appetizing taste and offer yourself all the beneficial nutrients and vitamins.